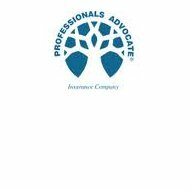 A review of Professionals Advocate Health Insurance Company finds Professionals Advocate (ProAd), a provider of medical liability insurance for professionals in the medical profession. Professionals Advocate is a division of Medical Mutual Liability Insurance Society of Maryland. The company was created by doctors, is owned by doctors, and helps protect doctors. If you’re still looking for health insurance, and not medical liability insurance, just type your zip code into the box above and you’ll be able to look through health insurance rates from top-rated insurance providers. Medical Mutual Liability Insurance Society of Maryland was born out of the medical malpractice crisis in the United States in the 1970s. In fact, it was the first doctor-owned and doctor-managed insurance carrier created during this time. Professionals Advocate benefits greatly from its parent company’s experience over the last 35 years. Professionals Advocate stresses the importance of staying in close contact with its customers, welcoming their feedback one everything from the company website to its products and policies. To that end, Professionals Advocate has its headquarters in Maryland and regional offices in Virginia and North Carolina. You can also fill out a form on the website to request more information, send comments, or just get feedback from a Professionals Advocate representative. The company’s individual professional liability policies cover individual doctors and healthcare providers in the event there is a claim filed against them for property damage, bodily injury, or personal injury, and the insured is legally liable due to an act or omission of a “professional nature.” Organization professional liability offers similar coverage, but is for the company as a whole, separate from the liability coverage of its affiliated medical practitioners. Healthcare provider group liability is similar to organization professional liability, but covers a different type of medical group. Business liability offers protection for individuals or groups for claims resulting from something having to do with the organization’s premises or operations that occur and are necessary to the premises. Excess liability is exactly what the name implies: this coverage provides excess coverage above and beyond a business liability or professional liability policy in the event that the insurance limit has been reached. Professionals Advocate MedGuard product provides an annual defense fund benefit to add onto other liability policies. MedGuard goes beyond standard medical malpractice insurance to help with the costs that arise from expensive disciplinary hearings that medical practitioners or their organizations might have to undergo. Dentists can also find protection from career-threatening litigation through Professionals Advocate. In fact, they have their own website with the company, found at http://www.proad-dental.com. Professionals Advocate sells its policies through nearly 60 agents and brokers in Virginia and Washington, D.C. To find a list of them, look on the “Agents/Brokers” tab under “Company Information” on the Professionals Advocate website. All policyholders with Professional Advocate are advised to call 1-800-492-0193 to report claims and lawsuits, as well as incidents that might become either a claim or lawsuit. The company stresses that it’s important to report incidents that might escalate, and that such reporting will not affect a policyholder’s premiums, rating, or claims history. Only lawsuits and claims filed against a policyholder will affect their record and their rates. Insurance industry ratings provider A.M. Best Company has given Professional Advocate a grade of “A-” or “Excellent” for its financial strength. The company has been given an outlook of “Stable,” as well as an issuer credit rating of “a-” or “Excellent.” A.M. Best ratings help to determine whether an insurance company will remain solvent well into the future, which means it will continue to pay policyholders who file claims. The last thing you want with an insurance company is to pay years of premiums only to have the company go out of business and unable to pay when you finally have a claim to file. Make sure you’re protected before something critical happens! Get health insurance quotes right now by entering your zip code into the box below.